Betway’s exclusive Lucky Numbers offering allows you to bet on draws from around the world. Getting started is easy. Simple select one of the 35,000 international draws, select your preferred bet and stand a chance to win big. New to Betway? Register an account to start betting on Lucky Numbers. How does Lucky Numbers work? The results of draws are random, verifiable by third-party sources and offer enough variation to allow a variety of betting markets. As a result, like a sports fixture, a draw offers a great bases for prop bets. At Betway, we scour the world for upcoming reliable and transparent draws. Our Lucky Numbers team then construct individual betting markets and assign odds to a variety of betting types based on the statistical likelihood of each outcome being realized. Once those models have been built, we offer them to our customers in a format that allows you to quick and easily bet on draws from around the world. When placing a traditional draw bet, you are given very little flexibility. Lucky Numbers starts with the classic bet and expands on it offer selection of regular draw and draw sum bets. If the draw features bonus balls, the betting options will again expand to include the base bets with and without bonus balls. The result is a robust and extensive selection of Lucky Numbers bets. Regular draw bets expand on the traditional draw bet, offering you the chance to select to predict just one ball that will be drawn all the way up to the full selection of 6 to 8 balls. 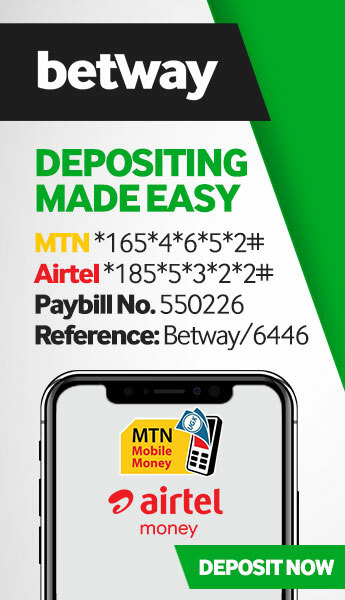 In addition to standard regular draw bets, if the draw features bonus balls, you can also bet regular draw bets with bonus balls which, generally speaking offer much larger potential winnings. Draw sum bets utilise the sum of all the numbers draw as a bases to offer a selection of Lucky Numbers bet types. Draw sum bets include odd/even, over/under and range bets that require you to predict a range in which the sum result will fall under. In addition to standard draw sum bets, you can also bet on bonus ball sum bets that offer a smaller range of the standard bets. Bonus ball bets are only available on draws that feature bonus ball draws. Bonus ball bets include odd/even, over/under, if the bonus ball will be a single digit or if the bonus ball will be the same as one of the regular balls drawn. If you’re confused about any of the above Lucky Numbers bet types, you can contact our support centre. Our support staff is available 24/7/365 to assist you with your Lucky Numbers queries. How do I bet on Lucky Numbers? Getting started with Lucky Numbers and placing your first bet is quick and simple. 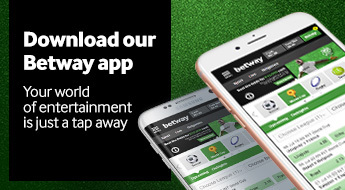 If you already have a Betway account, log in, click the Lucky Numbers, and follow our three-step guide below. If you’re new to Betway, register a new account, make a deposit and return to this page to follow our Lucky Numbers getting starter guide. You can get started in seconds by simply selecting one of the five upcoming draws. You can also choose to view the Most Played draws and a new of our Favourites. You can filter our selection of draws by country or by the first letter of the draws name. You can also use the Search bar if you know the name of the draws you’d like to bet on. This isn’t any ordinary draw bet, you have options. You can choose to place Regular Draws (with and without bonus balls) or Draw Sum bets. If you chose to place a Regular Draws bet, you will then be asked to make your number selection. Once you have completed your bet, your betslip will be updated with your selection automatically. Your selected bet will now be displayed on your betslip. Review your bet and if you’re happy with your selection, you can select the number of draws you’d like to place the same bet on and the amount you wish to bet on each draw. Finally, to submit your bet, click Bet Now. Prefer to bet on sport? Head over to our Sports tab and chose from thousands of fixtures each with a selection of betting options. You can chose to bet on your preferred fixture before the game starts or Live while the game unfolds.